Centenary College of Louisiana Archives and Special Collections serves as the repository for all permanent records of enduring administrative, historic, or legal value from the Louisiana Annual Conference of the United Methodist Church. The archives reading room is located in Magale Memorial Library. The conference’s archival collections document the history of the Louisiana Annual Conference of the United Methodist Church and its predecessor conferences. This includes records from annual conference meetings and conference offices, records from district superintendent offices, minutes of the various boards and agencies or committees of the conference, and records from closed and abandoned churches. Also included are official publications of the conference such as the conference journal and newspaper. The archives also contains the personal papers of individuals and families connected to Methodism in Louisiana. The Centenary College of Louisiana Archives and Special Collections website contains online finding aids for its processed collections. In addition, its digital collections contain a complete set of conference journals published by the Louisiana Conference of the United Methodist Church and its predecessor conferences dating back to 1847. The Dillard University Archives and Special Collections also contains material about Methodism in Louisiana. Their holdings include some records created by the predominately African-American predecessor denominations of the Louisiana Conference of the United Methodist Church – the Methodist Episcopal Church, the Methodist Church (Central Jurisdiction), and the United Methodist Church (Conference B). 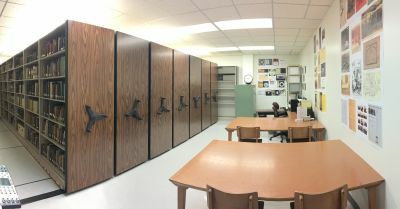 The archives reading room is located in the Will W. Alexander Library. For more information on United Methodist Church Archives, visit the General Commission on Archives and History.